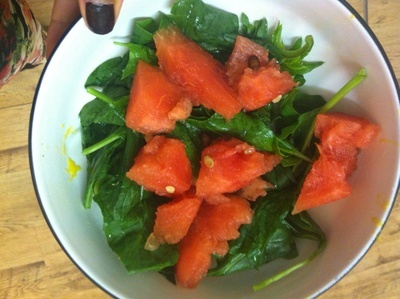 I love watermelon - especially in a salad. 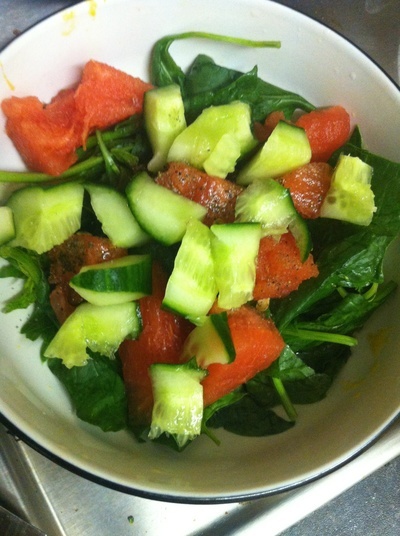 This sweet, watery fruit adds a freshness to salad, and provides a nice bit of colour, which kids appreciate when you serve up a salad. 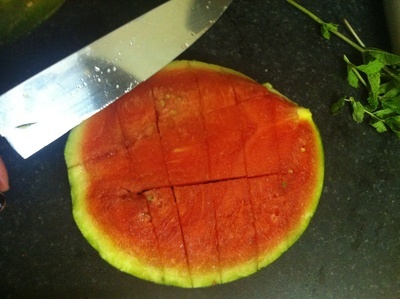 Score the watermelon using a sharp knife. 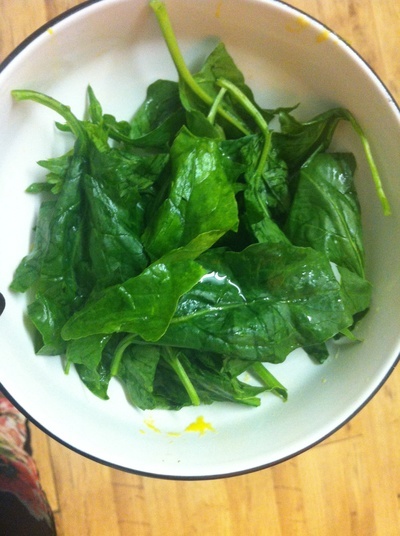 Add the spinach to a large bowl. 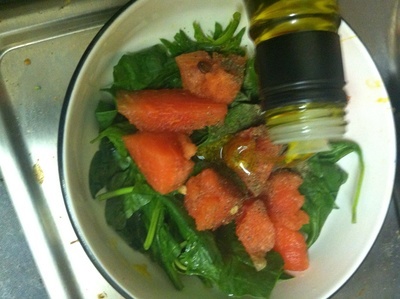 Top the spinach with the watermelon chunks. 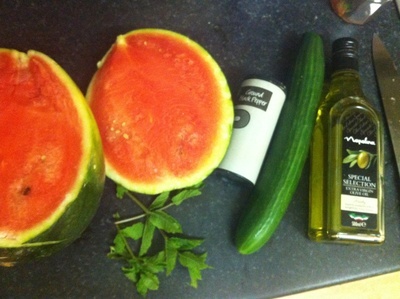 Toss, garnish with the mint and serve.